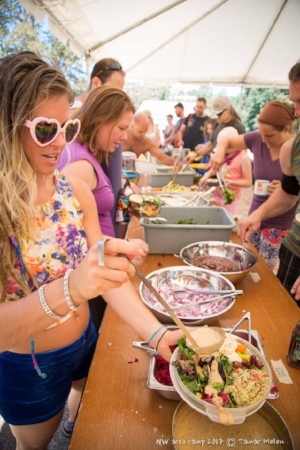 3+ Days of AcroYoga, delicious meals, friends, and more. Teachers include: Lux, Sarah Yovovich, Jacob Brown & Debbie Collis, Eric Blood & Miyoko Rifkin, Hobs, James TaDao, Rachel Plies, Bred, Buddy & Lindsi, Kraig Mead & Angela Bryant. For more details about teachers click HERE. You are responsible for all camping gear. Organic vegetarian delicious meals from Thursday dinner to Sunday lunch included. Smoke, Alcohol, and Drug free. Please leave pets, glass, and fire at home. $345 until July 9th, $375 afterwards. Kids 6 to 15 are $150. People age 16+ are full price. Cancel by June 19th and get a full refund less a $25 admin fee. Cancel by July 5th and get a 50% refund.